As rushing floodwaters quickly filled the small-town streets of Ellicott City, Maryland, a National Guardsman jumped into action to try to save a shopkeeper. 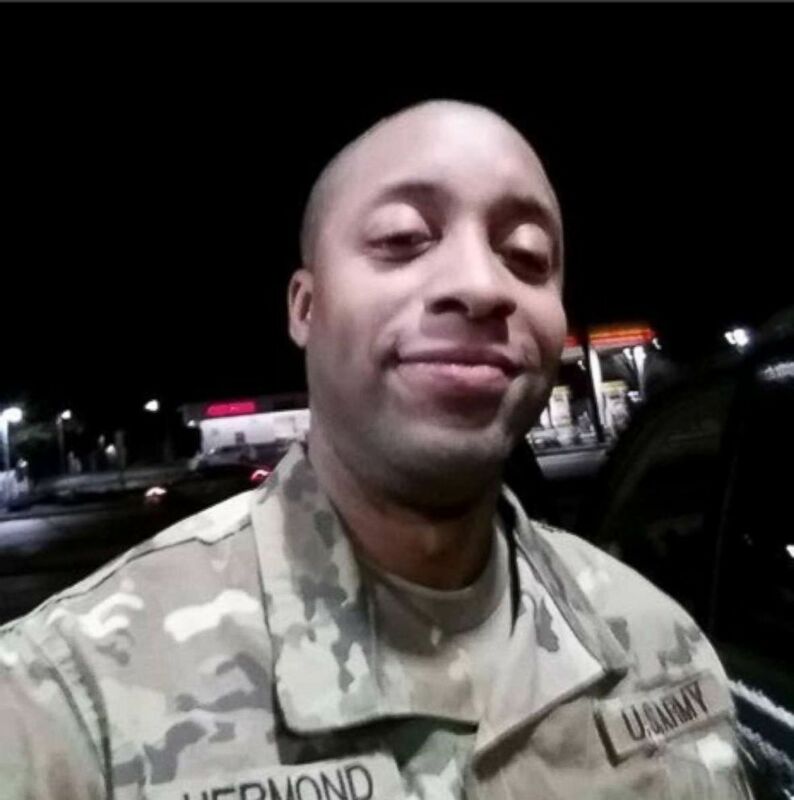 The pet food store owner, Kate Bowman, made it to safety but 39-year-old National Guardmsman and Air Force veteran Eddison Hermond was swept away. 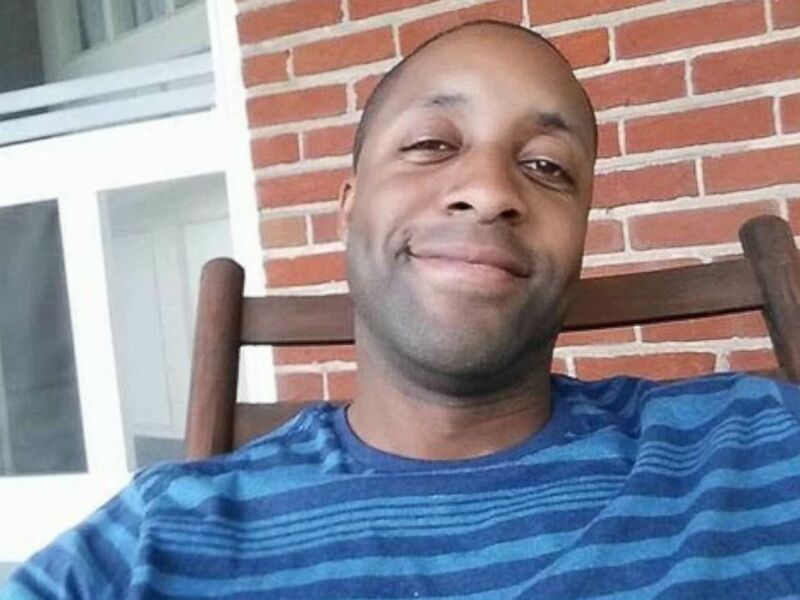 An undated photo of Eddison Hermond who was reported missing after the Ellicott City, Maryland, flood. Hermond of Severn, Maryland, was last seen at about 5:20 p.m. Sunday and remains missing, Howard County police said. When the flash flooding rushed in Sunday, Bowman escaped with her cat from the window of her shop and was in water above her waist when she saw Hermond, the Baltimore Sun reported. Hermond was at a restaurant at the time with Joseph Lopez, his friend from the Air Force. Water rushes through Main Street in Ellicott City, Md., May 27, 2018. “I could barely see anything and I could barely hear anything” because of the rushing waters, Bowman, 41, told The Baltimore Sun through tears. Hermond “stepped over the ledge to try to get to me, and he was washed away,” she told the newspaper. Eddison Hermond, who was reported missing after the Ellicott City, Maryland, flood is pictured in this undated photo. Howard County Police said Monday that the search for Hermond was continuing. Hermond has been a member of the Maryland Army National Guard since 2009, a National Guard spokesman said. He had joined the Air Force in 1996 and served on active duty for 10 years. He took a short break in service before joining the Guard three years later. Maryland Gov. Larry Hogan tweeted that he is praying for Hermond. 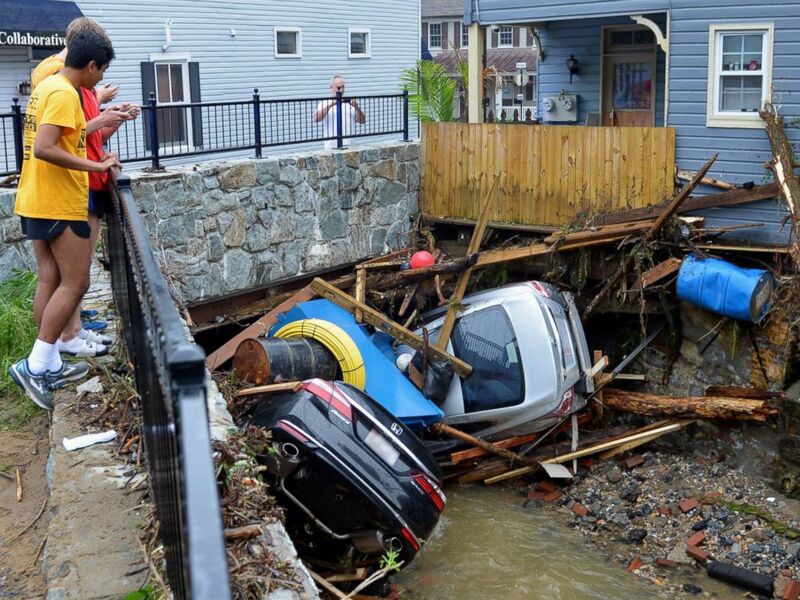 Crews, residents and business owners are now beginning to clean up after the Sunday afternoon flash flooding that dumped 8.4 inches of rain in Ellicott City in just a few hours, washing away cars and damaging buildings. Residents gather by a bridge to look at cars left crumpled in one of the tributaries of the Patapsco River that burst its banks as it channeled through historic Main Street in Ellicott City, Md., May 28, 2018. 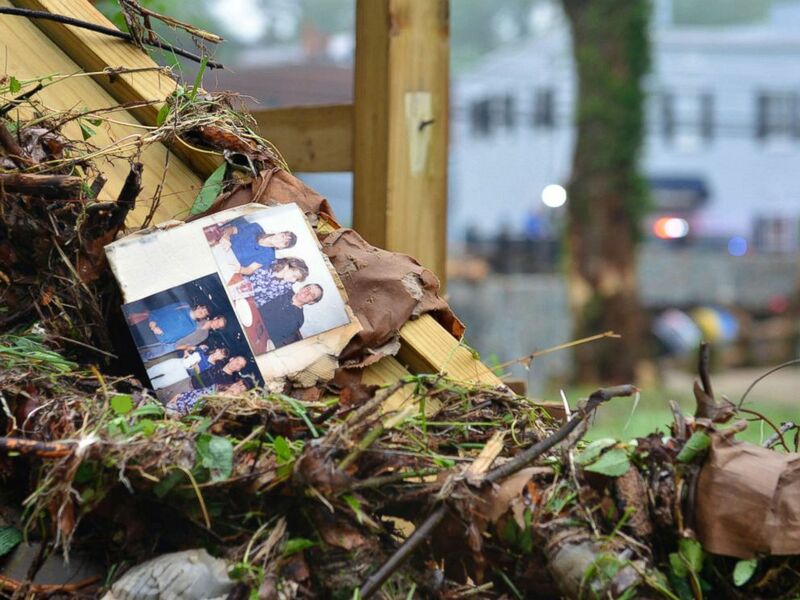 Family photos rest among debris after flash flooding in Ellicott City, Md., May 28, 2018. 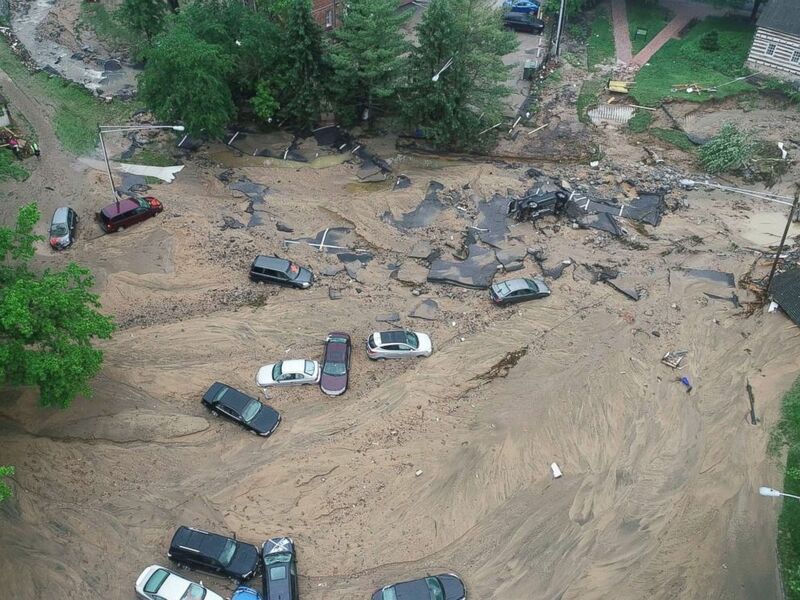 This image made from video provided by DroneBase shows vehicles swept by floodwater near the intersection of Ellicott Mills Drive and Main Street in Ellicott City, Md., May 28, 2018. 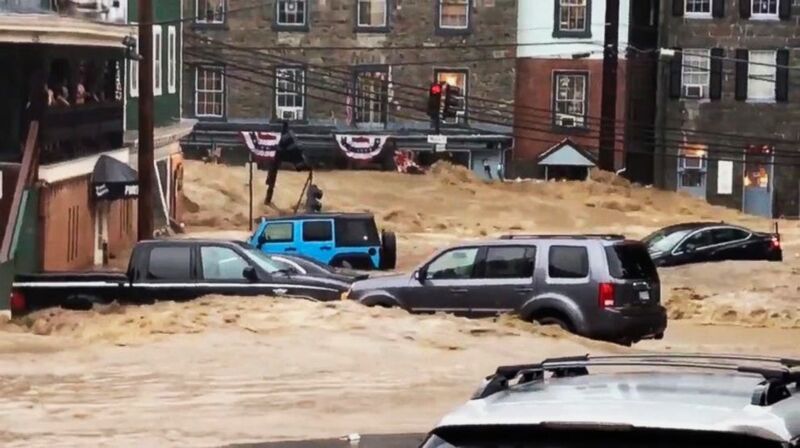 Howard County County Executive Allan Kittleman called the flooding worse than the one that hit Ellicott City in 2016, killing two people and causing over $20 million in damages. ABC News’ Elizabeth McLaughlin and Sarah Shales contributed to this report.